With an objective to attain higher level of patron gratification and contentment we are indulged in providing Joint Venture Promotion. The foreign investors that need to set up their operations in India can register themselves as Indian companies under the Indian Companies Act, 1956. We offer Joint Venture Promotion with An Indian Partner to these companies to get them registered. 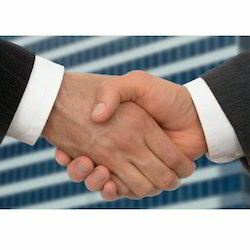 The companies can choose as per their business type and requirement to enter into a joint venture. Looking for Joint Venture Promotion ?